A post-mortem is being carried out. DUBLIN ZOO’S silverback gorilla, Harry, has died at the age of 29 with the zoo announcing that a post-mortem will take place. The gorilla died yesterday with Dublin Zoo saying that the exact cause of death is as yet unknown but that he had passed away after “a short illness”. In a post on Dublin Zoo’s Facebook page, zookeepers say that Harry was “the leader of Dublin Zoo’s gorilla troop”. “Harry was a very gentle and calm gorilla and he will be greatly missed by everyone at Dublin Zoo,” they add. In his time at the zoo, Harry fathered five offspring. Email “Harry, the leader of Dublin Zoo's gorilla troop, has died from an unknown illness”. 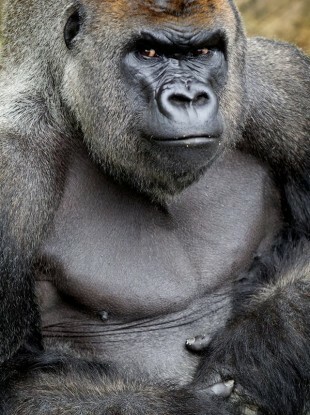 Feedback on “Harry, the leader of Dublin Zoo's gorilla troop, has died from an unknown illness”.